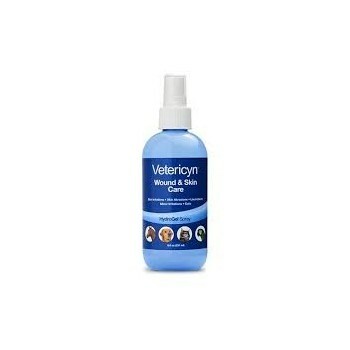 Vetericyn is not a steroid, antibiotic, bleach, toxin or organic homeopath. It is a scientifically engineered topical solution for Cuts, Abrasions, Scratches, Skin Irritations and general Wound Care. Vetericyn is Proven with clinical trials and with over three million successful outcomes, and is based on FDA cleared technology. Also effective for Eye Care, Navel & Umbilical Care and as a powerful cleanser for common fungal & bacterial skin conditions. 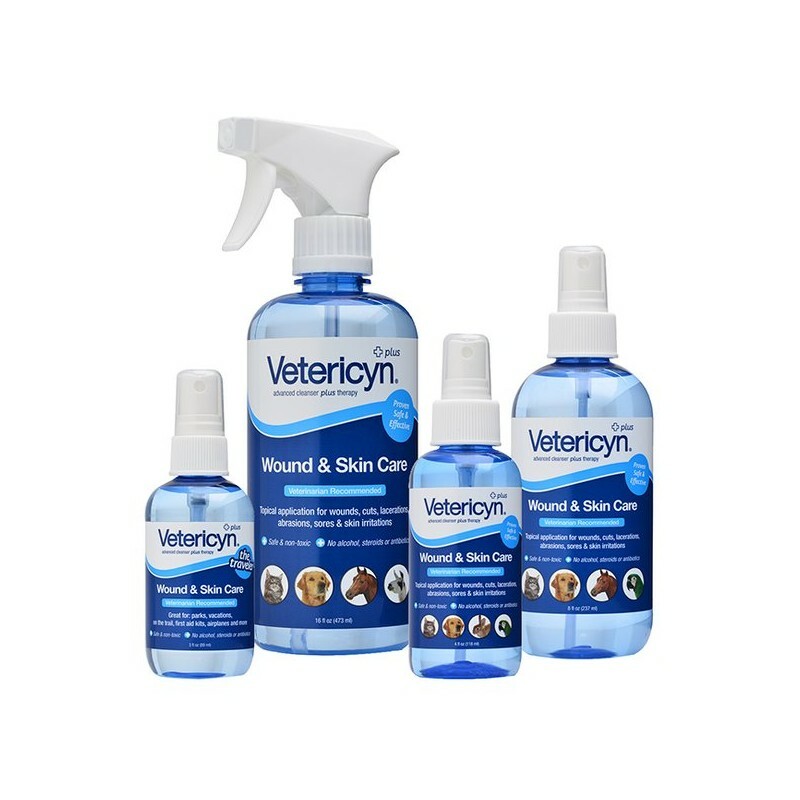 Most importantly, only Vetericyn works by successfully replicating a healthy immune systems response to the broadest range of wound, skin & eye care issues. 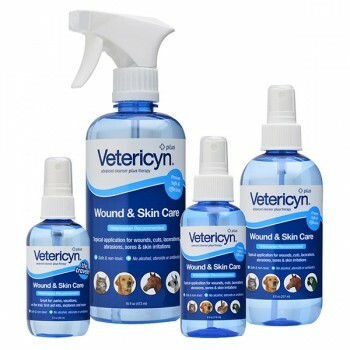 Award winning one-step immediate acting wound & skin care for all animals. 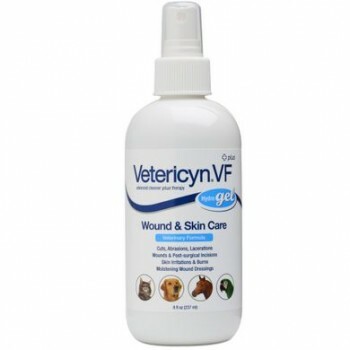 The steroid-free, antibiotic-free, non toxic solution in Vetericyn is built on Microcyn Technology. 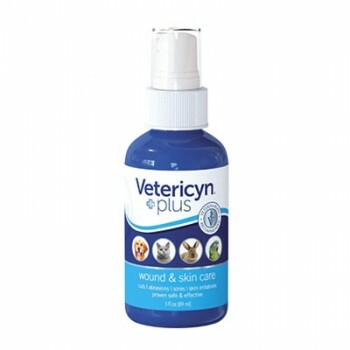 Vetericyn uses the power of the animal's own immune system and does not harm healthy tissue. 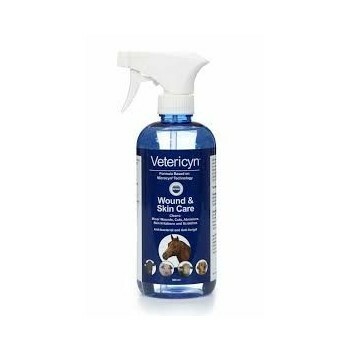 It is anti-bacterial and anti-fungal, ph neutral and tests free on competitive animals. Available as 89ml, 250ml and 500ml.